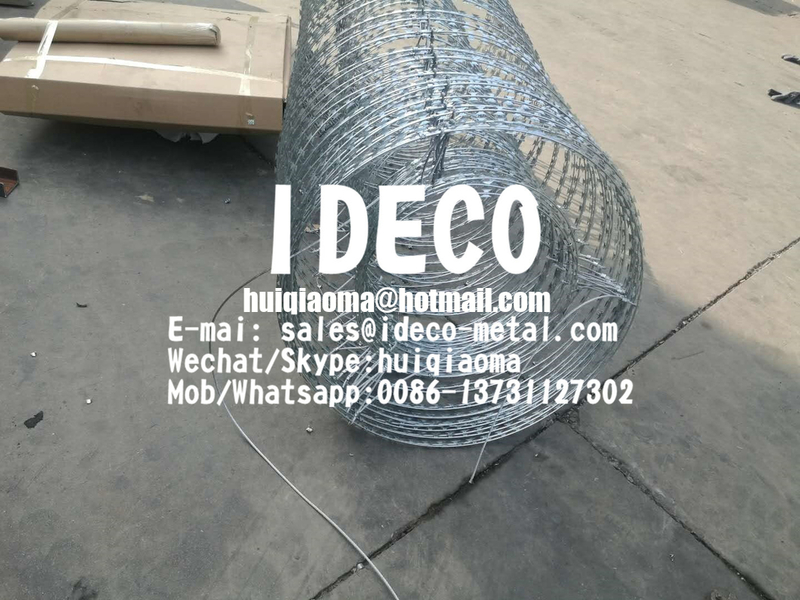 Double Concertina Razor Wire Coil are manufactured where one smaller diameter razor wire coil is inserted inside a bigger diameter coil; three nodes connect the two concertina razor. 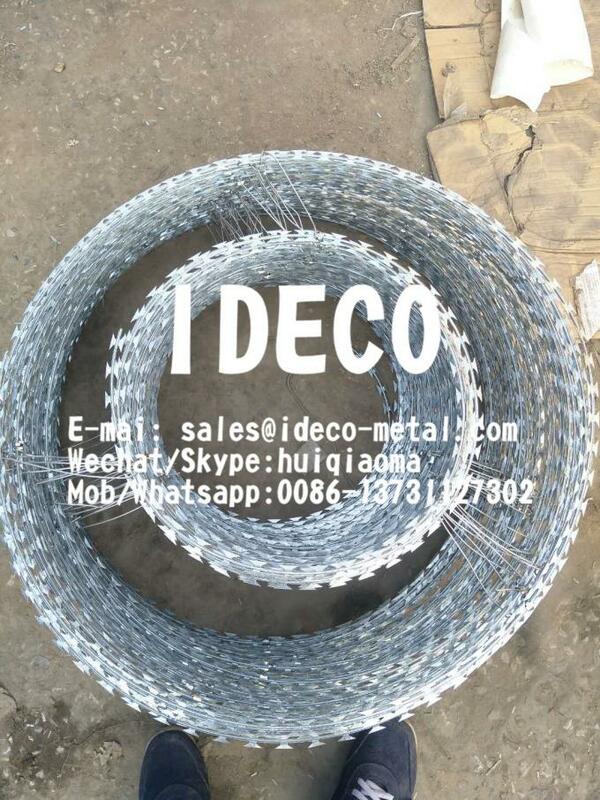 Double concertina razor wire coil ensures a longer intrusion time for security personnel to respond. Double coil concertina is for medium security applications (correctional facilities, etc). High security areas such as prisons, borders, warehouses, nuclear facilities, etc. Wall tops for factories, residences, societies, farmhouses, etc. Razor wires can also be topped over existing chain link fence, weld mesh fence.